Like your home, your yard can be an enjoyable place for recreation, gardening and other activities but it’s also an integral and often critical part of protecting your home. Without proper grading to direct rainwater away from the home, flooding can result and leaks made worse. Standing water can cause yard areas to be unusable, negatively affect vegetation or even lead to mosquito problems. On the other side, water flow in concentration or on unprotected surfaces can cause erosion problems. J.J. 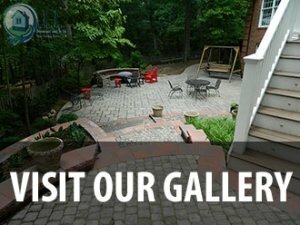 Basement and Yards Waterproofing and Repairs (JJBY) has years of experience in installation of a variety of drainage systems to solve various problems. 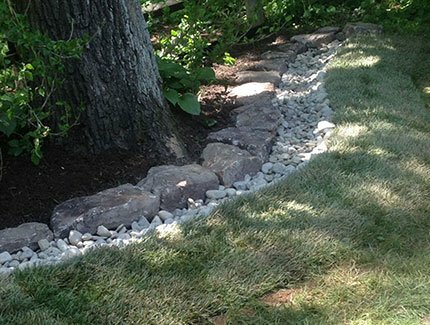 Flat wet yard areas can be often be greatly improved by the use of exterior French drains, which may be turf covered or surfaced with stone to appear as dry stream beds and without requiring major regrading. 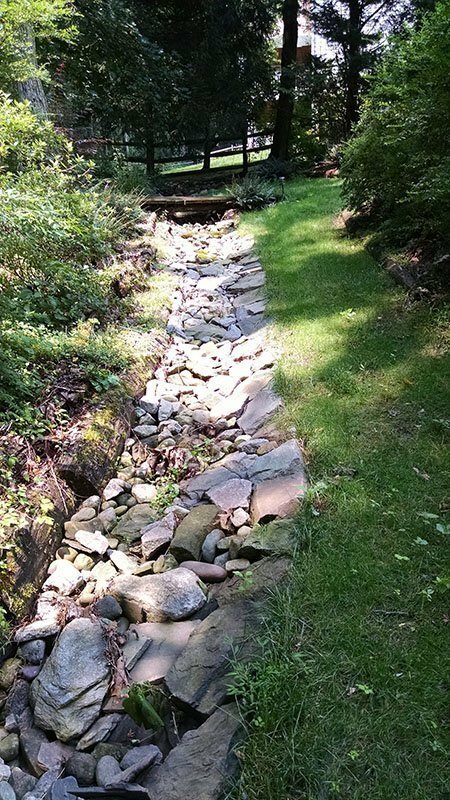 French Drains are also very effective for diverting flows such as from a neighboring property. One of the most important things you can do to protect your home is to assure the rainwater is directed away from the foundation and where surface slope is insufficient or could lead to erosion, downspout extensions may be the solution. 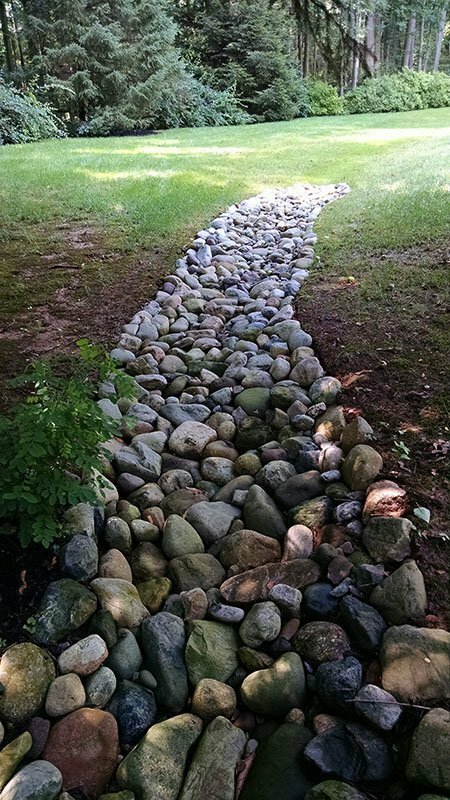 Patios and driveways and other hard surfaces sometimes require channel drains to capture flow from these impervious areas or move water from one side to another, and direct to safe outlets. Concentrated flows or drainage on steep slopes requires that the surface be adequately protected. 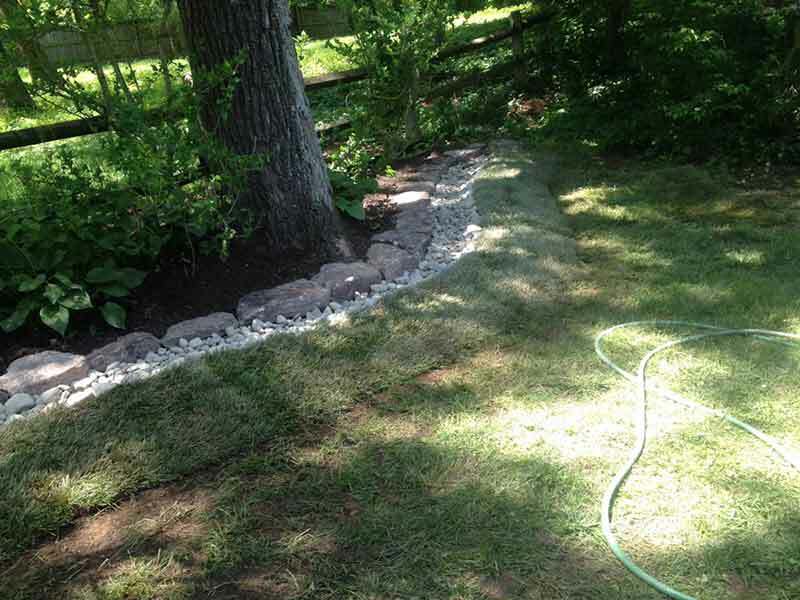 This might be as simple as ground cover plantings or reinforced turf in minor situations or stone lining of channels in more extreme situations. 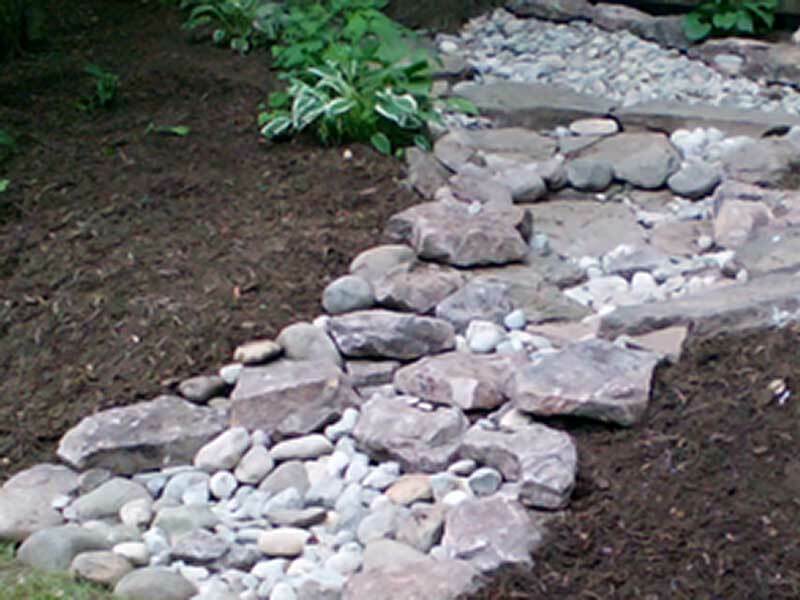 Small stream banks may require vegetative and/or mechanical stabilization. Swales (small shallow sloped ditches) are often useful to capture and direct flow. JJBY has experience with all of these systems and can develop a program for cost effective drainage improvements for your yard. JJBY’s designers have also designed some unique custom drainage systems for unusual situations and always keep aesthetics as an important factor in design. Len brought a large store of approaches and solutions to our problems, always focusing on what would be most workable, cost-effective and attractive.